Last Chance for Early Worms! 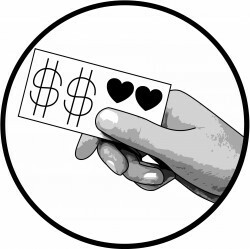 We at The CG Project take voting very seriously. We don’t care who you vote for as long as you exercise the civic duty that countless others, here and abroad, would risk their lives for. This is the second presidential election that we voted early for and this time we went a step further and brought another voter with us. Jeanette Diaz is Diana’s aunt. Her last voting experience wasn’t the greatest because she ended up with a punch ballot and the poll watchers wouldn’t help her, probably to avoid swaying her vote. 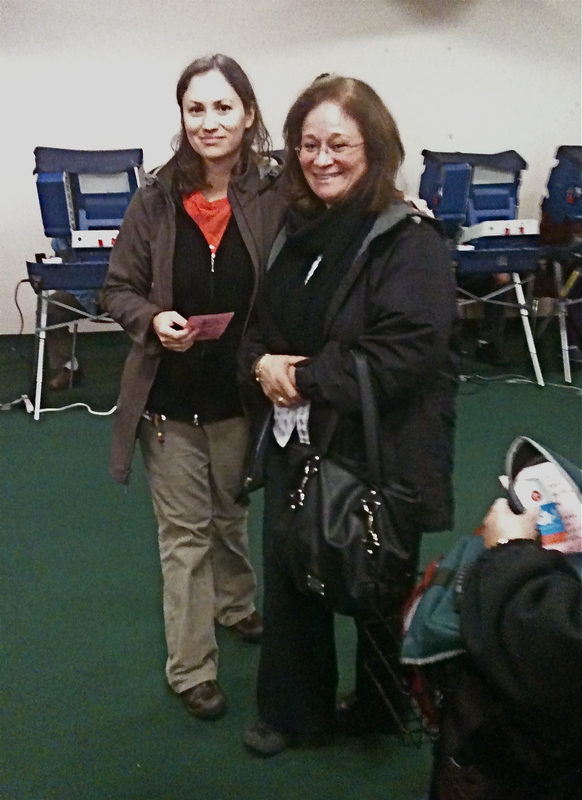 Though voting in Spanish is an option, she wanted Diana’s help to make sure to everything smoothly. We wanted to make sure that voting was a positive experience for her so we took her early voting at a time when most other people were at work. 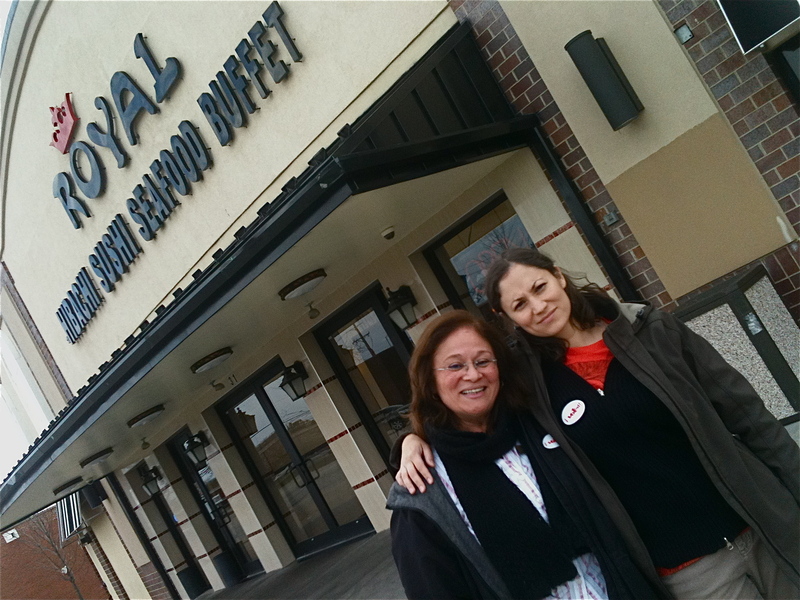 In order to flesh out the memory, we all had some Halloween candy and celebrated at the newest landmark in Hoffman Estates, Royal Asian Buffet. If you live in the area, you know what I’m talking about. I had stir fry, Jeanette had sushi and Diana eat a bunch of fish… all under one roof. 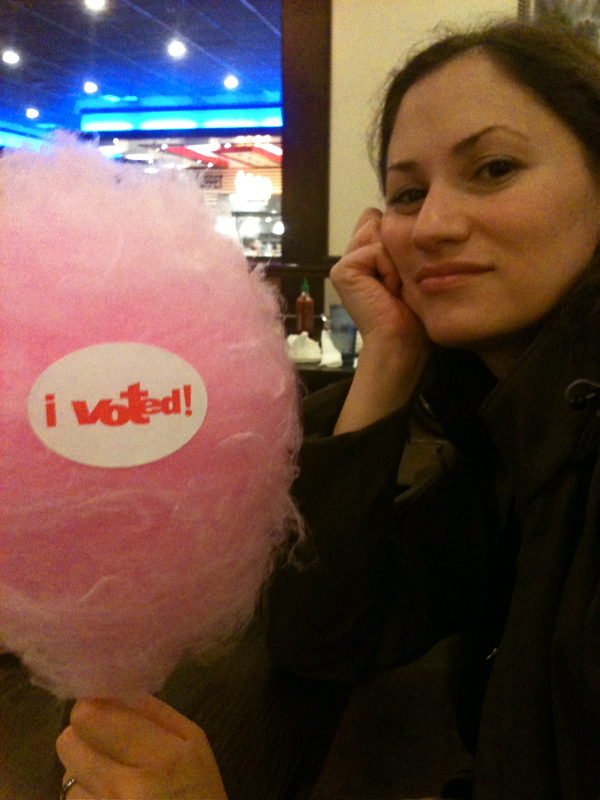 Diana put a bright, pink cap on the experience with her favorite sweet, cotton candy. There’s still a few hours to vote early. the lines are shorter, the poll watchers are less worn out and best of all, you can either tune out for the end of the election or work to get other people to the polls on election day. Here’s a quote from the Reader about last-minute early voters. It sounds like good company. This entry was posted in Chicagoland, Growing.